The first 3 years of a child’s life is the most crucial when it comes to development. Let's check out some superfoods for baby brain development! Every year, an average of 130 million new babies are brought to life, according to CNN. While some of these babies are born to caring and capable parents, some babies are born to parents who are unable to care for their newborn child properly. The Urban Child Institute reports that the first three years of a child’s life is the most essential when it comes to development, with the brain being one of the most vital areas of development that needs to be cared for to ensure the child does not experience problems later in life. They report that recent advancements in medical technology have allowed medical experts to identify particular aspects of a child’s life that may have an unpleasant effect later in their lives. Nutrition is one of the most vital areas when it comes to brain development in a baby, but, in many cases, parents cannot afford the expensive foods that are often used to feed infants. Luckily, they have also discovered that certain food sources can be dubbed as super foods when given to babies, and these foods can help to enhance the development of the baby’s brain; thus reducing potential problems that may develop in the future. Let’s take a look at nine of the most potent superfoods that you can give your baby to help their brain develop thoroughly throughout the first three years of their lives. Chia seeds have become quite popular recently, renowned for the large dose of omega-3 fatty acids, protein, potassium, magnesium, fibre and other essential nutrients contained within these tiny seeds. Many of these nutrients are essential for the development and growth of the brain, especially during the early stages of life. 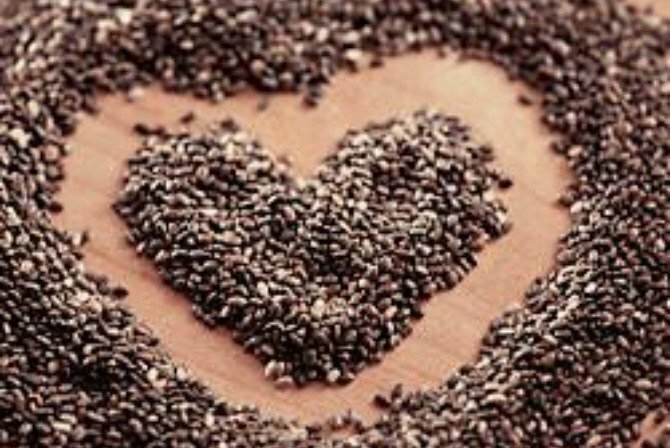 Dr. Axe reports that chia seeds are also rich in antioxidants, which is also very beneficial for the brain. Even when monitoring pregnancy week by week, it is a good idea for the mother to also consume this particular superfood due to the many beneficial nutrients contained within the seeds. Coconut is another excellent superfood to give to your baby to help their brain develop properly. This particular food type can be administered in the form of coconut oil for added convenience. Natural News reports that coconut oil is rich in triglycerides, important fatty acids and many other nutrients that are important for brain health. They also report that the particular substances found in coconut oil are known to act as brain fuel, thus improving brain performance significantly. Oatmeal is a food that we often have for breakfast. 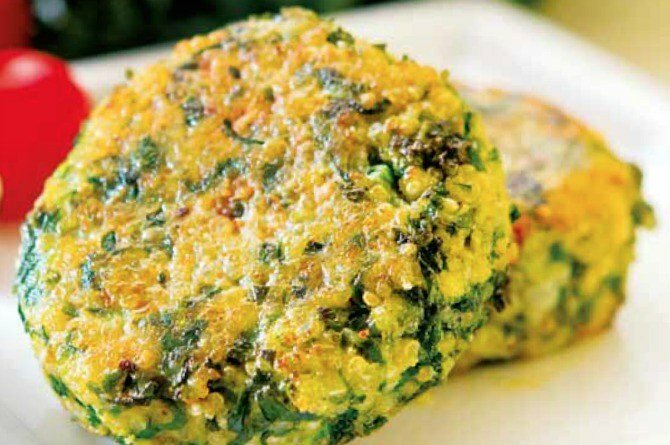 It is packed with nutrients and can also be used to make a range of tasty meals. 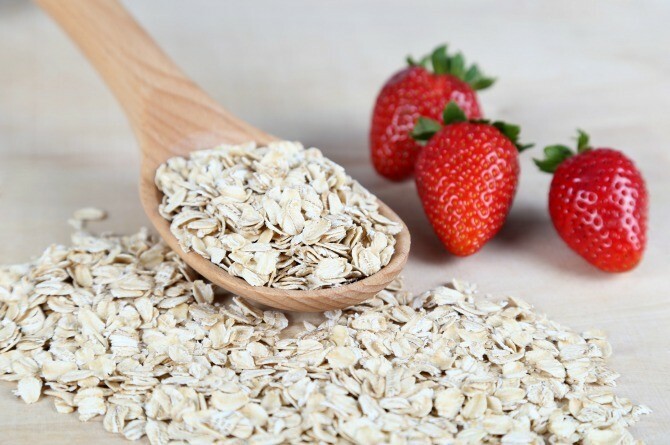 Oatmeal contains essential B-vitamins, as well as vitamin E and zinc. It is also rich in fibre which is another essential substance that babies require ensuring their digestive tracts work properly. The B-vitamins, along with the other nutrients, also healthily helps their brain development. Eggs are delicious and used in a variety of recipes, including desserts, dinner recipes and more. Eggs are also high in omega-3 fatty acids, as well as choline, lutein, zinc and many other nutrients. These nutrients are essential for enhancing brain function and, during early development, will also be beneficial for the baby’s brain. Eggs are also often considered one of the best healthy brain foods. Avocados are often applied to the face due to their benefits for improving the skin, but this particular food is also a powerful brain enhancer. Avocados contain unsaturated fats, as well as B-vitamins and oleic acid, which helps to protect myelin, a fatty substance that surrounds the nerve cells and assists with the transportation of information. Quinoa is a grain that is very high in protein. It is often preferred by vegetarians and vegans as a source of protein and can be used to prepare a wide variety of delicious meals. Apart from its protein content, quinoa also contains magnesium, manganese, iron, and fibre. Furthermore, the food contains lysine, which is a very beneficial amino acid that contributes to the growth of tissue, as well as the repairing of damaged tissue in the body. Some people love spinach and others don’t. It’s the food that Popeye eats to gain those terribly large muscles. This particular dark leafy green has many essential nutrients that are beneficial for the development of a baby’s brain, including vitamin K, vitamin C, calcium, folate, and iron. Spinach is also rich in antioxidants, which is also beneficial for the brain. All types of berries are excellent for the well-being of the human body, and most of them are also beneficial for the brain, but blueberries, in particular, are extra special. According to the University of Exeter, recent studies have proven that blueberries are important for improving brain function amongst older people, but the brain-boosting benefits of blueberries also apply to infants, in which the brain is still developing. This is a commonly known fact – milk is good for babies – but we had to include it as the brain benefits of milk are often overlooked. According to recent reports published in Health 24, scientists have discovered that the consumption of dairy products can lead to healthier levels of glutathione in the brain, which is a powerful antioxidant that assists with brain power and performance. Raising a child is certainly not a cheap feat to accomplish, but failing to administer proper care and nutrition to the child may result in problems when they grow older. Their brains are especially important during the earlier years of their lives, and proper nutrition plays an essential role during these times. Whether you can afford proper feeding or not, the superfoods we have shared here are usually affordable and will be beneficial to the development of your baby’s brain.